The purpose of this program is to enhance the capability of conservation districts to carry out conservation within their respective district. 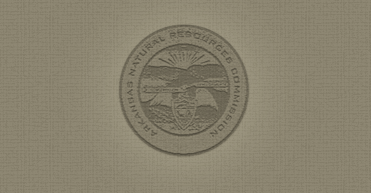 Projects eligible for grant funds must carry out resource enhancement, restoration or protection and must be new or in addition to those in which a district is currently involved. Projects intended to replace existing programs are not eligible for grant funding. Only conservation districts may make application for assistance. All applications received during the application period shall be reviewed by the Conservation Division Chief and field staff. Applications will be reviewed for feasibility, practicability, and potential benefits to the applying district. Based on this review, the Conservation Division Chief and field staff will rank the applications and make recommendations to the Executive Director as to award of grants. After reviewing the ranking and recommendations, the Executive Director shall make his recommendation of projects to be funded to the Commission. After review of the applications and the recommendations of the Executive Director, the Commission may make grant awards based upon the potential benefits to conservation in the applying district, region or the State as a whole. Prior to providing funds, the Executive Director and conservation district awarded a grant shall enter into a grant agreement. The grant agreement shall incorporate the application by reference and establish the terms and conditions of the grant. No funds shall be disbursed prior to execution of this agreement. At the completion of the project for which grant funds have been provided, the conservation district shall provide to the Director a review of the project including, but not limited to the following: actual benefits of the project; how actual benefits differed from what was expected; summary of project receipts and project expenditures. Funds provided shall be accounted for as part of a conservation district's financial operation. The Executive Director may require additional accounting of funds, as he deems necessary. On multiple year projects, this review shall be done annually. Maximum total grant available per district is $25,000 per year. For multiple district applications, grants of up to $25,000 per project per district per year may be approved. Grants shall be awarded for only two (2) years for the same or similar projects. Grant funds must be matched by local cash funds on a ratio of $1 local to $2 grant. Local funds may be used only once for any matching requirement. In cases where the grant is used to fund personnel, it must be used for newly hired personnel or additional hours of existing employees.